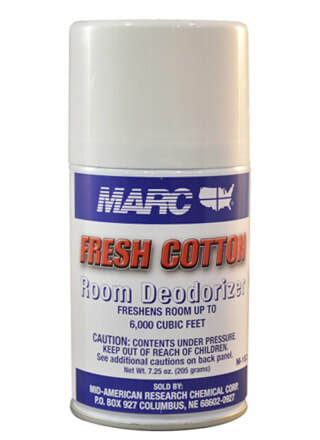 ​This is a metered aerosol which freshens rooms up to 6,000 cubic feet, and contains advanced odor counteractants. It works in most time-dispense machines. The automatic dispenser uses the latest in technology for accuracy and reliability. It has programmable interval settings and LED indicators for empty can and low battery.